Fans of the classic helicopter series Choplifter will be getting a brand new HD facelift this Autumn. 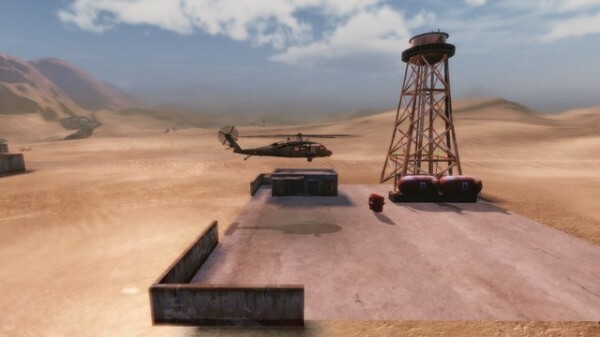 Choplifter HD brings back the classic gameplay of playing a helicopter pilot rescuing survivors from POW camps and zombie outbreaks in 20 high-flying missions. The original creator, Dan Gorlin has been brought on by developer inXile Entertainment as a design consultant. “He has added valuable touches, including ways to connect the pilot to the rescued hostages in a meaningful way, which have helped us create a really rich Choplifter experience for players.” says inXile chief Brian Fargo. If you look closely past the break, you might see a classic XBLA character needing to be saved that’s quite ‘meaty’.